Cloud computing is a new trend in information technology with everyone shifting their data to the cloud. There are several books available on amazon to learn about it. This book is considered to be one of the best books to learn about cloud computing for any beginner. It provides an easy and detailed approach to the basics of the cloud. The book provides an insight on the public and private cloud. The design, architecture, and implementation parts are also covered in detail. It makes the reader aware of the recent trends and overall knowledge of cloud. Moreover, it is available at a very affordable price of $20. 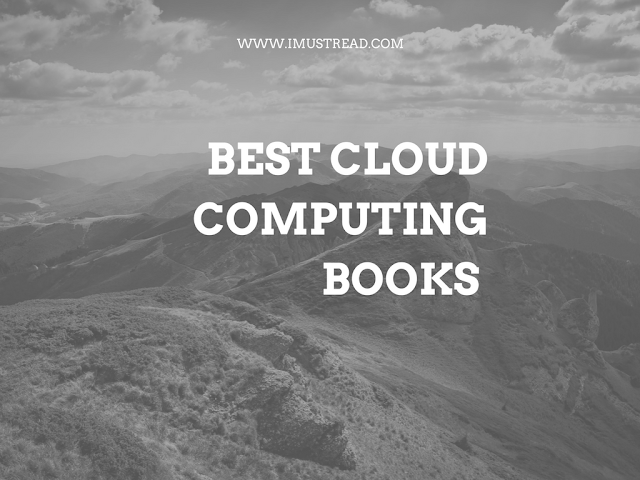 All available books and material on the cloud over the internet are very technical for readers and especially beginners to understand. Furthermore, other content on cloud computing is marketing based for the sole purpose of selling cloud as a product. This book, however, provides a user’s point of view on cloud computing. It is easily understandable by the business users of cloud. The author of this book has covered all dimensions of cloud computing and provides a comprehensive outlook on the technology and architecture of cloud. The book also covers the business value of cloud apart from the technological details. The book is best for both information technology experts and laymen beginners. This book explains the concepts in an excellent manner and digs up into the details of cloud computing. It also provides great insight into topics such as Python, Big data, Hadoop, and analytics. This book is best for graduate and undergraduate students. This book is written by experts in this field and introduces the concepts and technicalities of cloud computing in plain English. The book is best for someone who is new in implementing cloud, especially in organizations. It provides the practical aspects of cloud implementation. The design, architecture, and implementation of a cloud are covered in a detailed manner in this book. The reader of the book can become well aware of the recent trends and overall knowledge of cloud. It is a must read for information technology experts. In order to decide what model of cloud best suits the company or organization you work in, this book is the one you should get your hands on immediately. It goes through the business requirements and suitable cloud models in a comprehensive way. This book provides more of the diagrammatic view of the cloud patterns and how the cloud solutions change and alter from PaaS to SaaS. The figures provide a better way to understand these patterns. This book focuses on the advantages of using cloud providing in-depth analysis of cost savings. It covers architecture, design, and infrastructure of cloud in detail. This book explains which model should be adopted by enterprises based on which needs. It focuses on the benefits of using a cloud for storing data and programming techniques. The article has been written by Joey Havard. The author has written several articles on cloud computing, Write My Paper UK _ MY PAPER WRITER and its perks. The author has also delivered several lectures on the technical aspects of cloud computing. And he shares his post or new experient on social such as Twitter and Gplus.